Might lean to listen there. Beneath — the wide, wide sea. And hauled the early net. Suit well this simple scene. Their Lord descends to earth. Ah! surely God is there. And lives no legend on the wall? No theme of former men? And sink in graves again? A cold and silent frame. The page of his despair. The peace to life unknown. Shall seek but not recall. Breathe it in hall and bower. The Monk of Hartland Tower. St. Nectan’s, the parish church of Hartland, is situated between the town and Hartland Quay in the village of Stoke. The room above the north porch is traditionally known as Pope’s Chamber; the Pope in question being a local resident of that name. 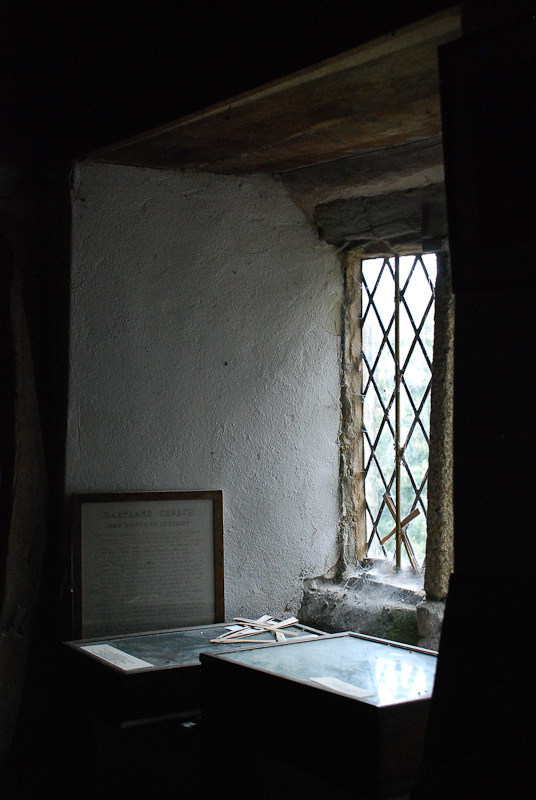 Access is via a steep and narrow stairway and the chamber contains an interesting collection of odds and ends, among which I was delighted to find a glass case with an oak shingle from the roof of Morwenstow church. 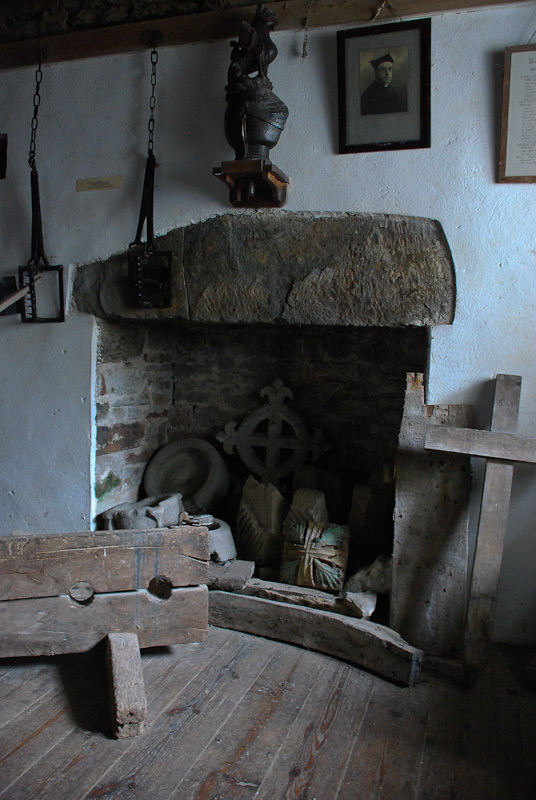 Despite Hawker’s lively imaginings it seems doubtful that the place ever served as a monk’s cell – it contains a large fireplace and the atmosphere is more homely than ascetic. A leaflet that I picked up during our visit suggests that the chamber may have been used by a priest or sexton, and to store the parish armour in Elizabethan and Stuart times. “On the – of June 1838 Charlotte and I drove to Hartland. Day showery. Saw first Grave-ground and Church. The yard-paths clean, but the Vicar cherishes for his Horse the grain that grows from out the Bosoms of the Dead. No green and shaven mounds like my own Church Yard. By the Chancel door there is an Altar Tomb, an epitaph, but no surviving name – The Words ‘ Who art thou that judgest another man’s servant ? ‘ &c. ‘ Rejoice not against me, oh mine Enemy,’ &c. Legend. One of the Doctons of Docton smote his Son in ire with His Sword belt. The buckle struck him in the temple that he died. Hence Remorse evermore – hence the nameless Tomb – The fierce anticipation of reproach &c. Cf. and dl. “Next the Church. The Screen nearly complete. On its upper ledge the Singers stood, within the tradition of one generation. 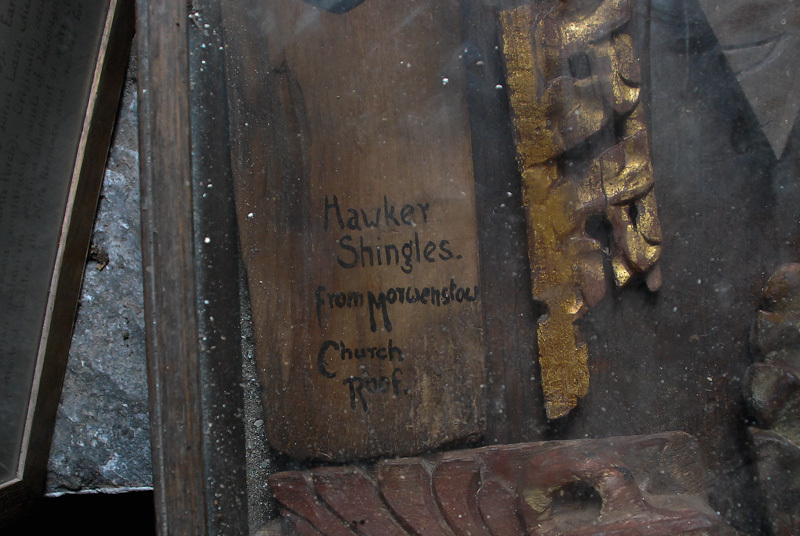 The last Chancel Choir of which I ever found tracery in the West. The Roof of the Church painted thick with Stars in imitation of Heaven. I hence perceive why and whence our carved projections – they are all meant to be starry tokens to meet the lifted eye with memorials of Heaven. What great article. Originally coming from just down the road from ‘Moo’stowe’ I’m fascinated by this man and his legacy. Thanks for putting it up.